Maybe, but how much better? Exotic trees are also vital to urban forest wildlife habitats. Ryan Gilpin, Consulting Ecological Arborist. HortScience/Bartlett Consulting. Urban trees are important to wildlife and humans. 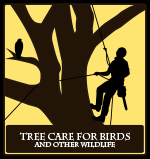 Native trees are thought to provide better wildlife habitat than non-native trees. However, there is little scientific evidence that supports this claim, especially in California. And while native trees may be better habitat, non-native trees provide habitat as well. It can be difficult to directly compare how much habitat each provide. Although planting native trees makes sense for creating locally adapted landscape, it can have some downsides. 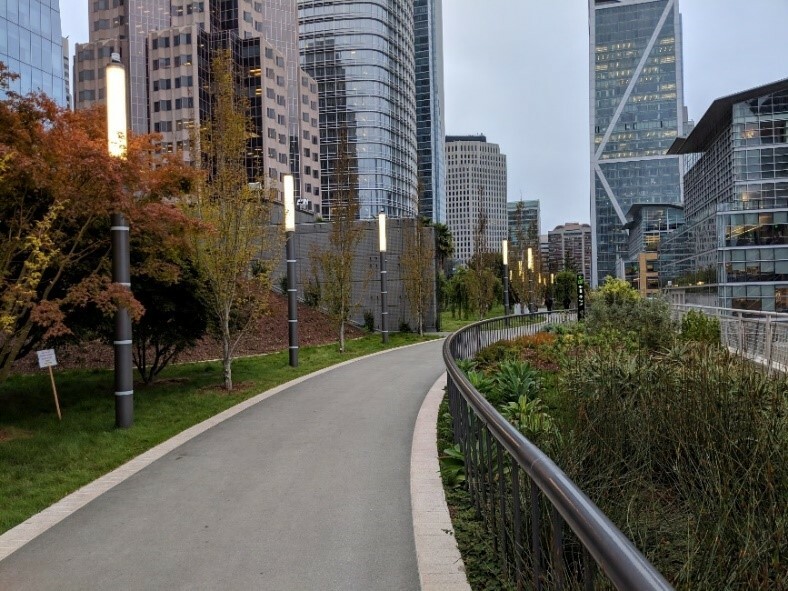 Many California native trees do not perform well in urban areas because they are not tolerant to the urban heat island, compacted soils, root and crown pruning and many other difficulties of growing in cities. Few nurseries grow a diverse array of native trees ready to be planted as street trees, in parks and on private property. There may not be enough locally native tree species to meet the diversity objectives that urban foresters strive for. Urban forest diversity is important for many reasons; it is our main tool for managing the risk of pests and diseases destroying a high percentage of our urban forest. The belief that native trees provide better wildlife habitat than non-native trees is relatively intuitive: plants and animals that evolved together are more likely to be better ecologically interconnected. Many publications represent this idea as fact such as Re-Oaking Silicon Valley and Integrating Nature into the Urban Landscape. When we go birding in California, we tend to choose locations with high native plant cover. 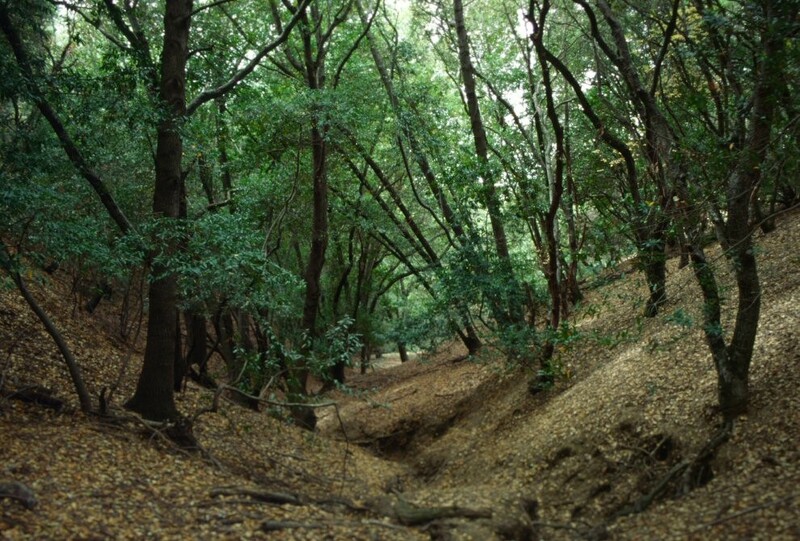 Oak woodlands make up some of the most popular birding hotspots for upland birds. 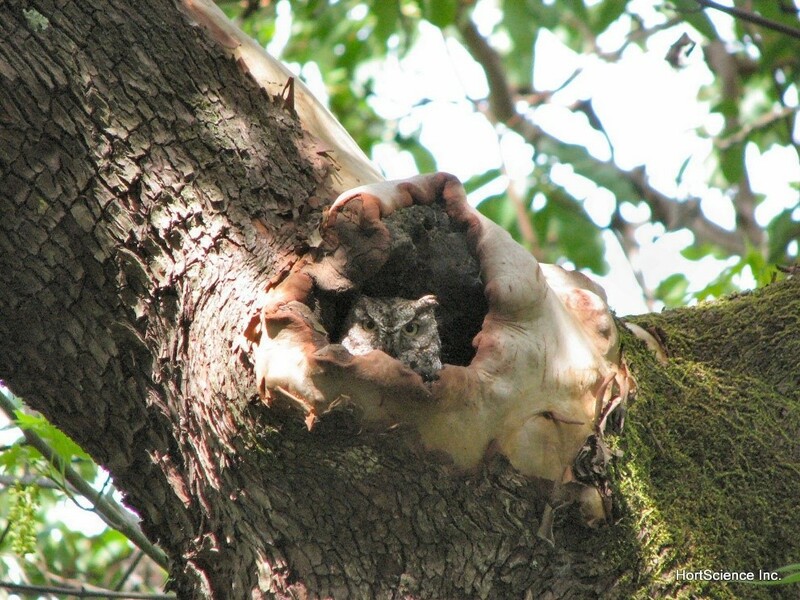 A Western Screech Owl is roosting in a California native pacific madrone (Arbutus menziesii). 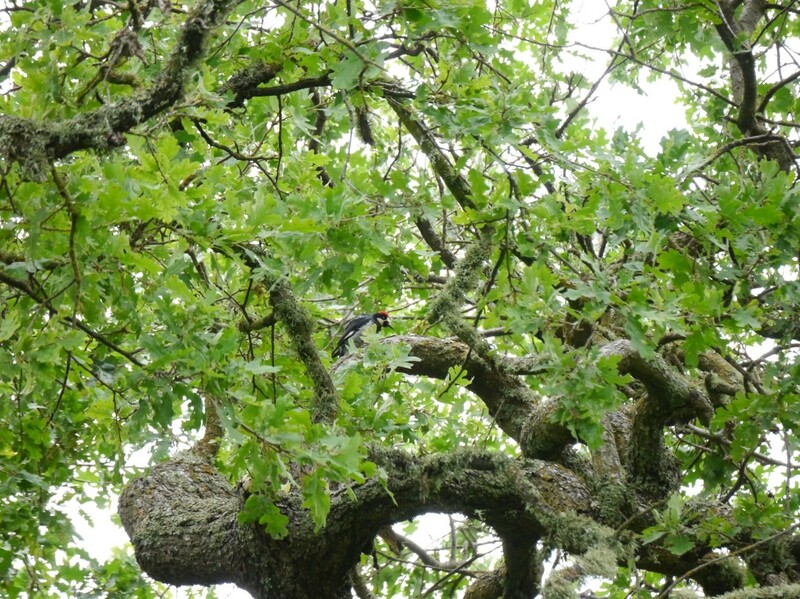 An Acorn Woodpecker is foraging in a California native valley oak (Quercus lobata). Comparisons of the habitat value of landscapes that are primarily non-native plants (above) with those of primarily native plants (below) need to consider other associated factors such as human use and previous disturbance. In the scientific literature, the relationship between native trees and birds seems to be relatively complicated. Dr. Linda Chalker-Scott published a recent literature review and lay article on the topic. This review found that of the 120 papers across 30 countries available, the vast majority determined many factors such as tree density, site disturbance and habitat connectivity were more important than whether trees were native or non-native. The literature analysis revealed that for the most part, wildlife diversity was not dependent on whether or not the plants were native. These scientific studies and our birding trips don’t only compare native and non-native trees; they compare totally different habitats. High non-native plant areas have often been highly disturbed by humans. A sports park typically has very few native species, while a remnant forest typically has a relatively high percentage of native trees. But a remnant forest likely also has an intact ecology because of the comparatively low level of disturbance it has experienced. Even if a sports park was planted with 100% native species, it is unlikely that it will provide as good bird habitat as the remnant forest because the sports park is an entirely created landscape without an established ecology. Monterey pine (Pinus radiata) is short-lived primarily because it has many pest problems in the California. California bay (Umbellularia californica) is a host to Sudden Oak Death and shouldn’t be planted in areas being managed for that disease. Several of these trees (such as island oak, Quercus tomentella) are native to only a very small range of California or typically at higher elevations (blue oak, Quercus douglasii) rather than low areas where most urban trees are planted. Until recently, California urban forests have largely avoided large scale losses from pests and diseases, but other communities have not been so lucky. The most destructive current example is the Emerald Ash Borer in the mid-west. An innocuous insect from Asia was transported to Detroit through wood packing and has since killed millions of trees and cost communities hundreds of millions of dollars. Ash trees comprised between 5-29% of most mid-west cities urban forests. Based on studies of this pest, there is evidence that large scale tree removal related to emerald ash borer increased crime, increased deaths due to cardiovascular and respiratory illnesses and decreased leisure time. In southern California, the goldspotted oak borer is killing many coast live oak trees. Boring insects tend to spread through firewood which is why so many regulations exist in California against transporting firewood long distances. But even if we keep these two insects away from the Bay Area, others will likely arrive. 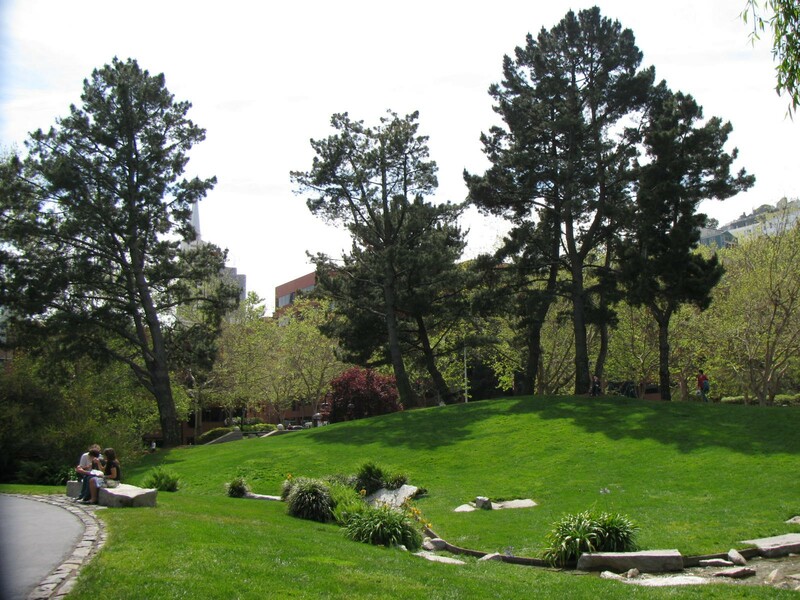 We should be as prepared as possible by planting as diverse of urban forests as possible, both native and non-native. I support planting native trees when they increase urban forest diversity. When planting native trees does not increase diversity, I support planting more native shrubs, grasses and forbs. The bulk of the diversity of California native plants are in these smaller-statured species. We can increase native plant cover in so many ways that will not increase our chances of catastrophic losses to the canopy cover that is so important to our cities. 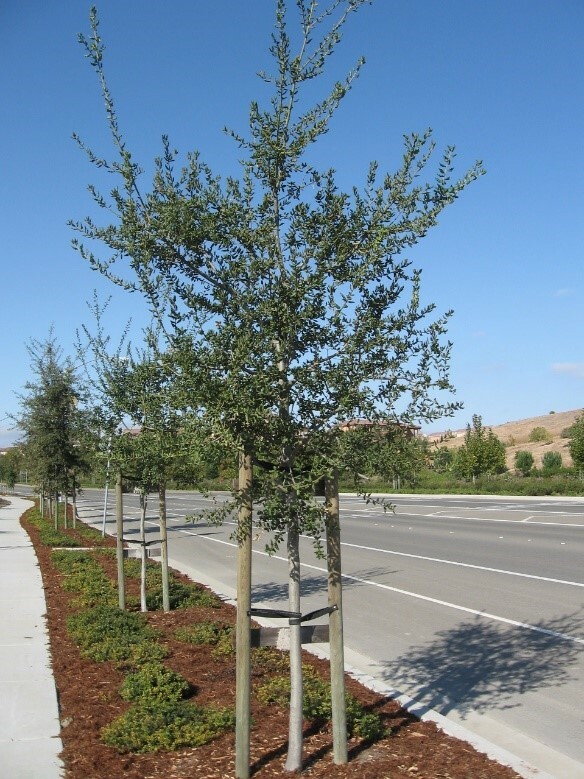 No trees are native to the highly compacted soils and reflected heat of typical California streets. Coast live oak (Quercus agrifolia) is one of the few native trees that does well in highly urbanized environments. But over-planting coast live oak in urban forests is risky when pests arrive. Sales Force Park is on the top floor of the transit terminal in San Francisco. It was planted with a mix of native and non-native plants. Thank you for pointing out that native trees are not adapted to the changed environment of urban and suburban developed areas. 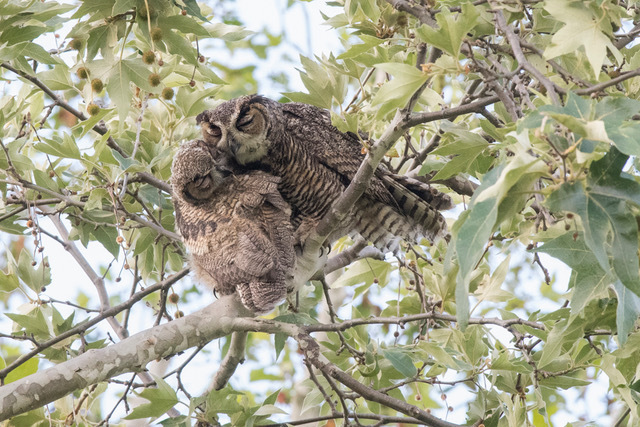 Even less-developed areas of California are undergoing such rapid climatic change that many native species are less suited than some non-natives. Several “non-native” trees have been established in California long enough to be fully functional parts of the ecosystem. Eucalyptus for example are preferred nesting habitat for raptors and owls, and vital food sources for bees and many birds. When do they become naturalized residents? We should plant species that are well-adapted to the conditions they will experience, that provide useful habitat values, and that contribute to biodiversity – with little regard for their origins.